Several years ago there was a television show called Lifestyles of the Rich and Famous wherein heavily-accented host Robin Leach would indulge viewers in glimpses of how people who were, well, rich and famous, lived their everyday lives. For the ten-year run of the show, viewers were entranced with visions of indoor swimming pools, personal chefs, expensive vehicles, and extravagant wardrobes. It was escapist television, and offered a snapshot of what life could be like for the mortal average guys and gals who punched in at nine and out at five. 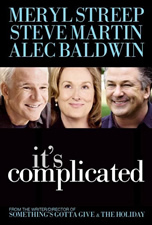 Watching It’s Complicated is kind of like Leach’s show, save for the fact that we are asked to possess a certain degree of empathy for the characters, specifically divorcee Jane (Meryl Streep) as she struggles with feelings of attraction to her ex-husband Jake (Alec Baldwin) while simultaneously being courted by her architect Adam (Steve Martin). But in watching these highbrow socialites as they struggle through midlife crises, empathy is somewhat hard to come by. Fortunately the movie doesn’t take itself too seriously, and provides enough lighthearted humor to be entertaining, if rather forgettable. 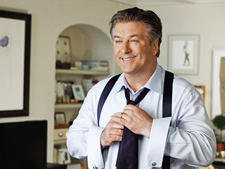 The casting of It’s Complicated is as smart as they come, and it’s nearly worth the price of admission alone to see Alec Baldwin slipping into his role like a pair of comfy jeans. 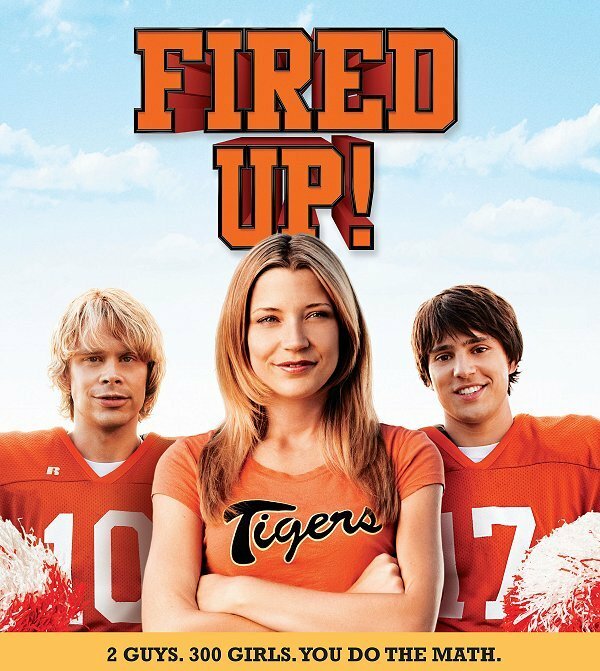 After ten years of divorce, Jake is unhappily remarried to a typical Stock Hollywood Annoying Wife Character #4-C Agness (Lake Bell) with Stock Hollywood Bratty Kid #3-F Pedro (Emjay Anthony) in tow. As luck (or movie logic) would have it, Jake and Jane meet up in the bar of the hotel where they are staying for their son’s graduation from NYU. Sure enough, they hook up for the night and spend the next few days re-thinking their lives along with a series of romantic trysts at Jane’s new house. Meanwhile Adam continues to develop feelings toward Jane, which leads to a bit of a conundrum for Jane: Does she reunite with her ex-husband, with for whom she is beginning to develop some serious feelings of affection, or does she go for the Adam, the safe bet who is searching for love after a few years of his own divorce? Despite the movie’s title, it’s actually not all that complicated, and this type of love triangle is nothing we haven’t seen before. Streep and Baldwin have an infectious screen chemistry, and much of the fun of the movie comes from watching the two of them romp around like a pair of twitterpated high school lovebirds. Martin’s incredible talent seems woefully underused, though, and only has a handful of truly funny scenes throughout the entire movie. Jane and Adam, looking for love in all the wrong places. Like behind a lilac bush. It’s Complicated plays on the premise of relationship confusion, something all of us have gone through. But Streep’s problems really don’t seem all that bad–she is the owner of a posh cafe where a single croissant will set you back over $10, she’s got a good relationship with her children, and has a group of Stock Hollywood Divorced Friends #6B-F with whom to gossip and eat pastries. And Jack seems to be doing pretty well with his new marriage, even though his wife exhibits such egregious character flaws as wanting to know why he is out at all hours of the evening and why he seems to be having secret conversations on his cell phone. Despite the somewhat questionable logic at work here, director Nancy Meyers must be commended for crafting a film that does not cater to the lowest common denominator: though It’s Complicated secured an R rating, typical scatalogical gags, bathroom humor, and even swearing are almost nowhere to be found. It’s a film that tries to be an exploration of midlife crises, past regrets, second chances, and horribly awkward video iChat sessions. Ultimately it feels a little hollow, but at the same time it’s enjoyable as an escapist fantasy. These individuals live in a world far removed from my own, and that of everyone else I know, and their fairly inconsequential problems and supposedly complicated relationships are a bit of an insult to the real people with actual problems and genuinely complicated relationships who will be watching the movie. But sometimes it’s good to just sit back and enjoy a lighthearted movie for what it is. Last 5 posts by Simon R.
Surprisingly, It’s Complicated is actually rated R, and I’m surprised the studio (for a film that seems pretty clean outside of some humorous drug use and sexual situations) didn’t appeal to the MPAA when it seems a few minor cuts would’ve made it a PG-13. Either way the film appeals mostly to middle-aged adults anyway, so I don’t think Universal left any money on the table. Thanks for the correction, MJV. I have fixed the review. Strange, though–it’s one of the cleanest R-rated films I have ever seen. I can’t even think of anything that would go beyond PG-13, and most parts of it are PG at best. I’ve seen FAR worse in PG-13 movies. Just another way in which the MPAA ratings system isn’t very reliable. Every so often, you don’t have the appetite for the meat and potatoes of a well-crafted film, and you just want a light cinema snack. Hence of the profitability of mediocre (and worse) films like Transformers, Twilight, and 300. 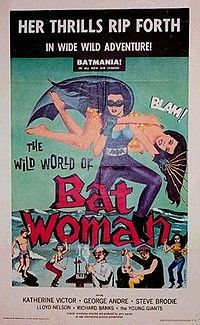 Ed Wood must be spinning in his grave.